for $179,900 with 2 bedrooms and 2 full baths. This 1,030 square foot condo was built in 1987 on a lot size of 0.0279 Acre(s). LAKEFRONT condos at Summerhill at Stony Point do not come on the market very often. 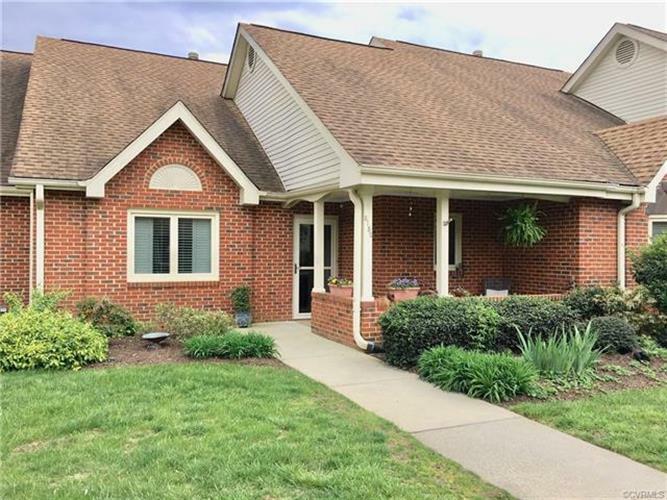 This charming 2 bedroom 2 full bath condo in the heart of Bon Air can be found in Richmond's best kept secret. Hardwood floors add warmth and beauty to the living areas of this single floor condo. The living room has french doors leading out to the back aggregate patio overlooking the lake. The updated kitchen offers newer cabinets, tile floors, and a pantry. You will find plantation shutters in one of the carpeted bedrooms. The hall bathroom has a lovely tiled shower with a built-in seat. Summerhill is a gated 55+ community offering more than your average services! Transportation to grocery shopping, a security officer on the property 24/7, organized meals, exercise classes, entertainment, and a professional activities director to plan social events are just a few of the amenities offered. The community's clubhouse (the Lodge) offers a huge deck overlooking the lake, a meeting room, a fireplace, a dining room, a cozy library, an exercise room, and a mail center. Other services include trash & snow removal, water, building insurance, landscaping & exterior maintenance.